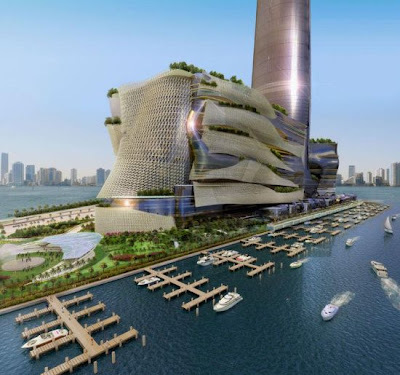 Mr. G's musings: Newest Tall Building in the world proposed. IN Miami--the Miapolis? 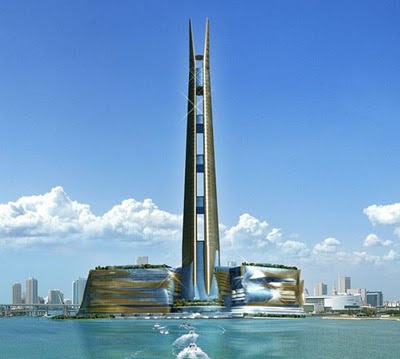 Newest Tall Building in the world proposed. IN Miami--the Miapolis? Thanks to RobOrange for this blog sighting. We're into tall, large structures here and this is big, big news. 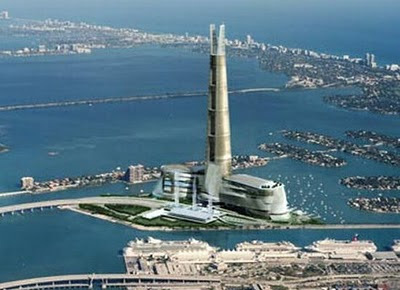 If it ever gets built? Can anyone in the US afford something so expensive? It is quite large but it doesn't have the elegance that Dubai's Burj Khalifa (formerly Burj Dubai) has? I don't think. 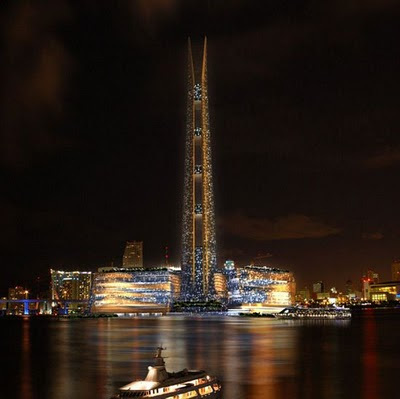 It is rather nice looking and it is colossally tall, which is the first attraction for me. I like my buildings tall.........BIG and TALL. It actually looks like two buildings attached with intermittent connecting floors. It appears to be built on an island which is interesting. But I think the crown thing at the top is a bit odd. It looks strangely like a bishop's mitre. 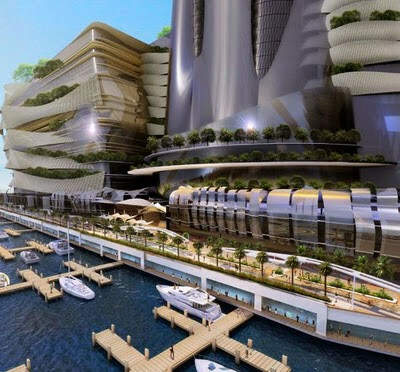 The base is rather interesting as it looks like it is very "green" design-oriented. But the photo below from above makes the whole structure too phallic and the base looks a bit to "scrotal." What do you think? No telling how long it will take to build if it ever gets built. So the current reigning world champion, the Burj Khalifa should stay champ for a while. Miapolis is an economic engine... and a sensible and rational solution for the local economy by resolving the Jungle Island debts while producing $942 million annually in tax revenues, and no taxpayer funds required. More importantly, Miapolis creates 46,000 construction and 35,000 permanent jobs.